All companies host or organize corporate events. Whether it is a marketing or charity event, companies host them to increase their visibility among their market base, which will eventually convert into simple income for them. Charity events are especially important for a company’s image as it projects goodwill and social responsibility. You may also see proposal samples. Restaurants and Hotels are no strangers to hosting events, as they constantly host events to invite customers and other notables to taste the food in their establishments. These events can be internal or external. 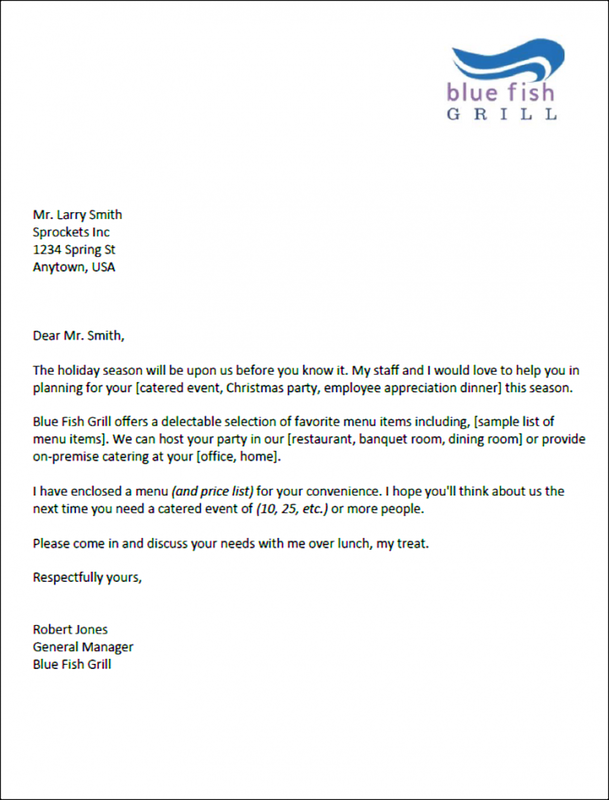 Internal events are events which the restaurant organizes and hosts such as offering discounts on their dishes or giving away free food service. External events, meanwhile, are events where the restaurant collaborates with other parties to make the event happen. 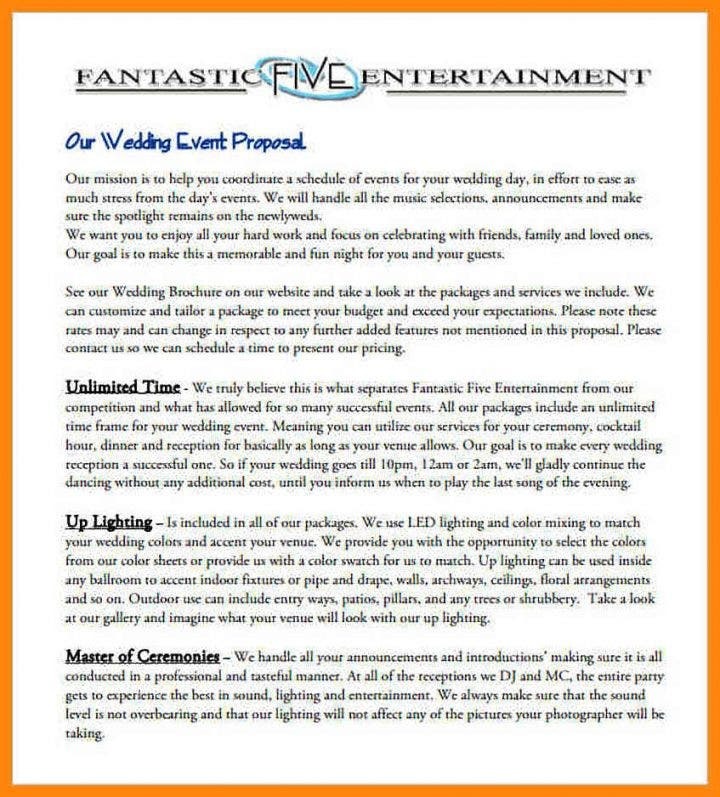 These events are birthday, simple wedding or office parties, musical or art performances, and other social events. 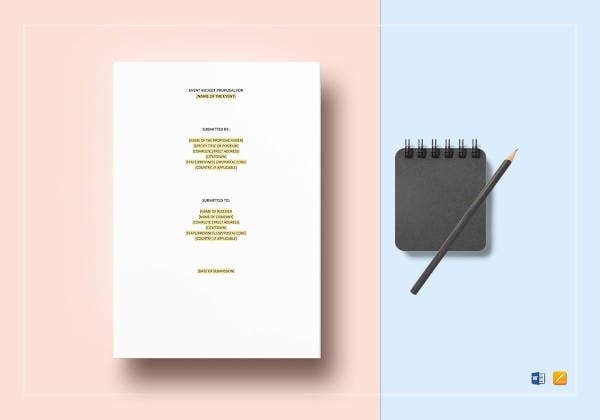 Hosting events is one of the best marketing tools restaurants can use to extend their reach throughout their market base, so here are some sample multipurpose event proposals for your restaurant, cafe, bakery, or any other food business. Writing an proposal for event is not difficult. 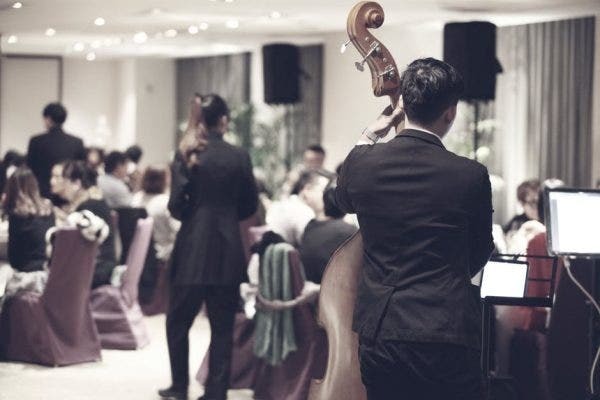 Unfortunately, people who want to host an event in the restaurant fall into the trap of omitting some information which makes the proposal invalid. Additionally, restaurant management also submits proposals to individuals or organizations to make the restaurant the venue for their events. Successful sample proposals are the ones in which both parties come to an basic agreement and little compromise is made. 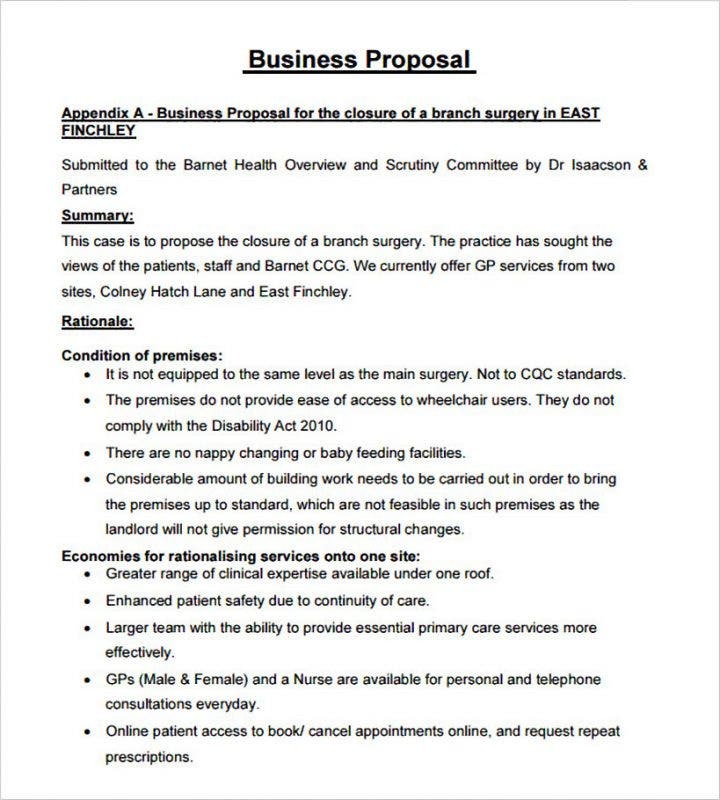 Proposals should be detailed so as not to cause any confusion for both parties. 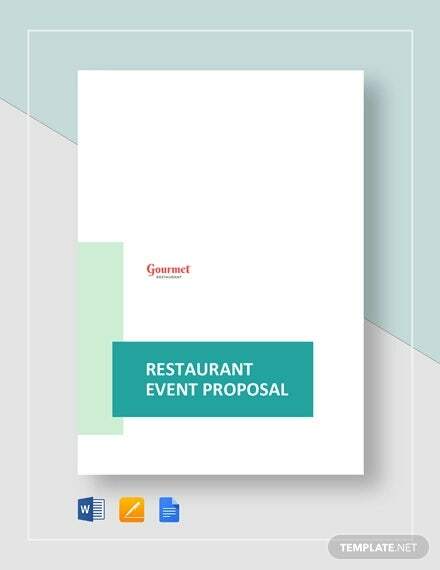 Here are some tips on how to write an effective restaurant event proposal. 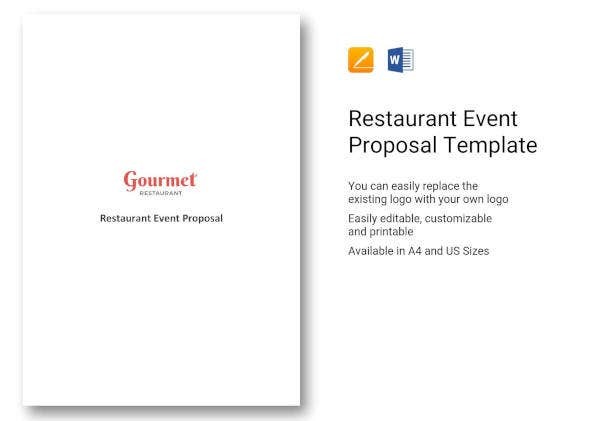 First and foremost, before you write anything in your event proposal, you still need to check with the awesome restaurant on the availability of the location. Make sure the venue is available on your preferred dates. So, always check first with the restaurant before you start making the proposal outline. It is no secret that restaurants have the final decision on what events can be held in their respective restaurants. 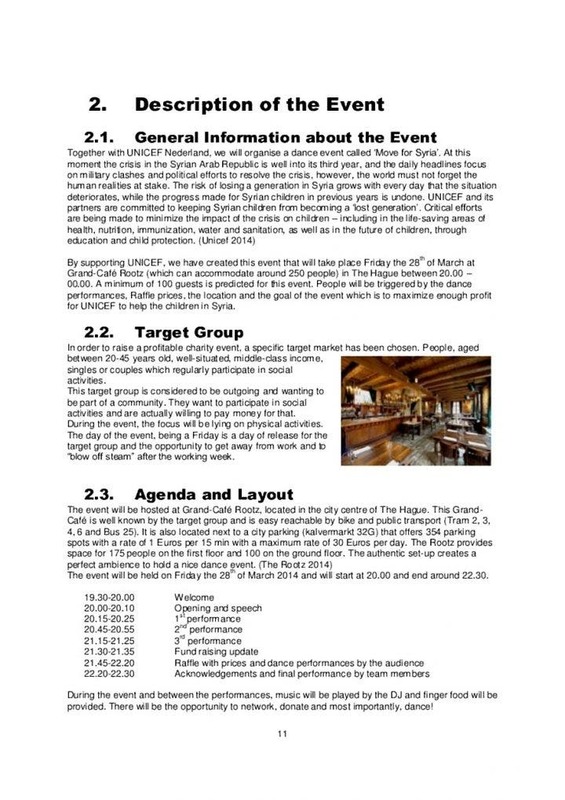 These events have to be in line with their concept, their food, and their market base. Not all business restaurants accept event bookings so you have to convince them they should choose your proposal. This is where you should bring out the heavy guns and put into writing the benefits that the restaurants can receive if they book your event schedule. You can discuss financial benefits as well as marketing benefits. No business offers their services for free. This is true for restaurants and also for the individuals who are hosting the event program since they both want to earn as much money as possible. 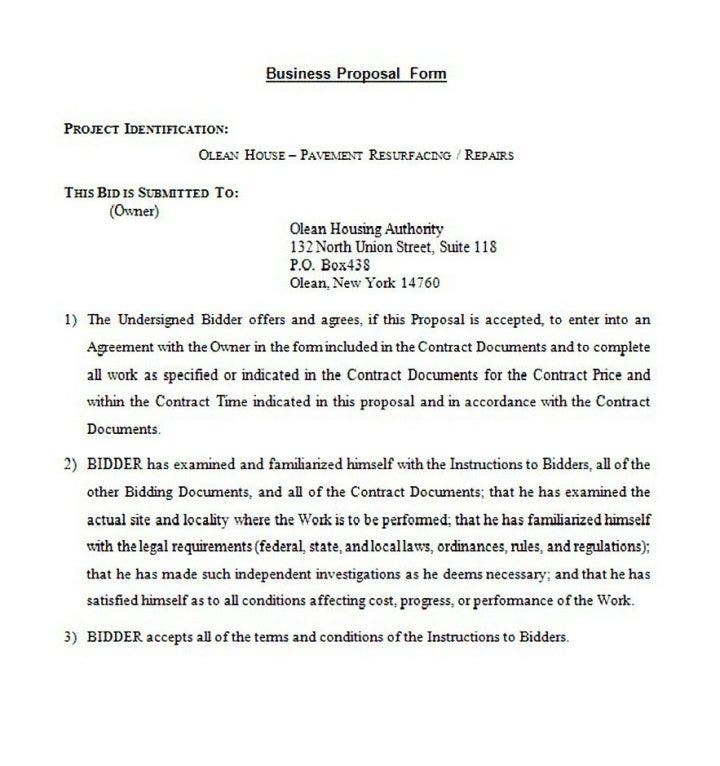 The payment terms are first written in the proposal, which starts a process of discussions and meetings for both parties. Make sure you list down optimistic bill payment terms to entice the restaurant into booking your event. To get a better picture of what figures you will be listing down, get data from the restaurant on the average number of customer lists they get on a daily basis. 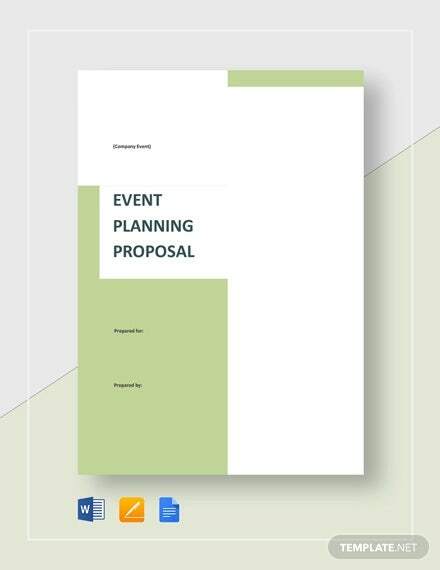 We hope you found our event proposal article to be informative. 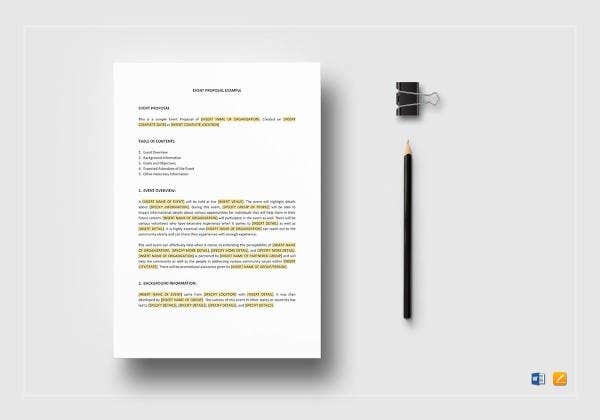 We also included some sample proposal templates you can use for additional reference. Good luck with your event proposal!